I know. 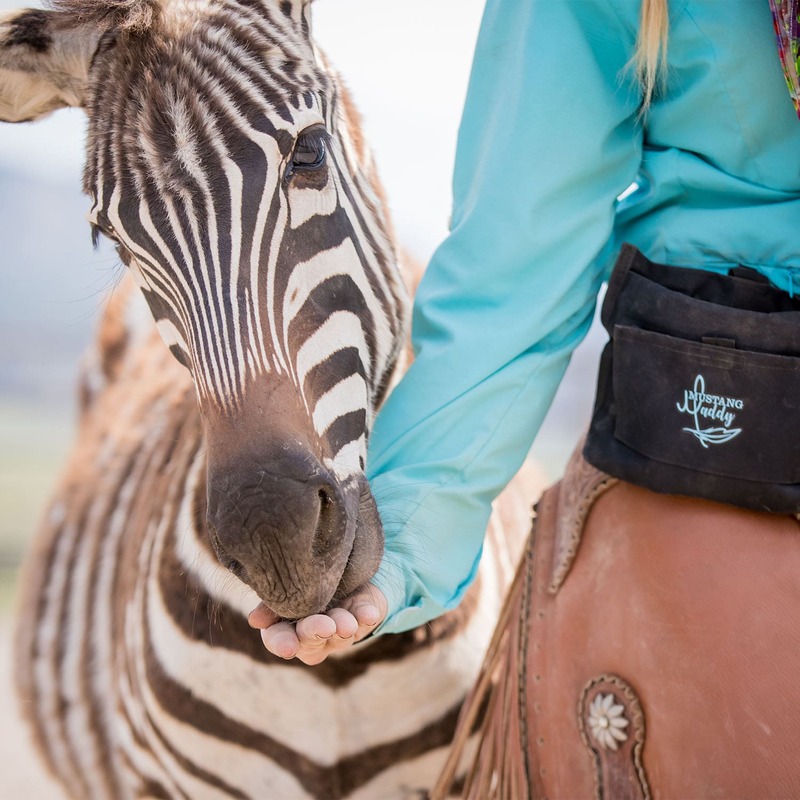 You’re probably wondering… Why would a horse trainer/mustang gentler/zebra whisperer from Colorado leave the arena and head to the beach to train marine mammals, trade in her rope for a whistle, boots for flippers, and hooves for fins? It’s really necessary that I start from the beginning. You see, it’s really pretty simple. For my entire life I have been searching for one answer: How do I get my horses to want to be with me as much as I want to be with them? 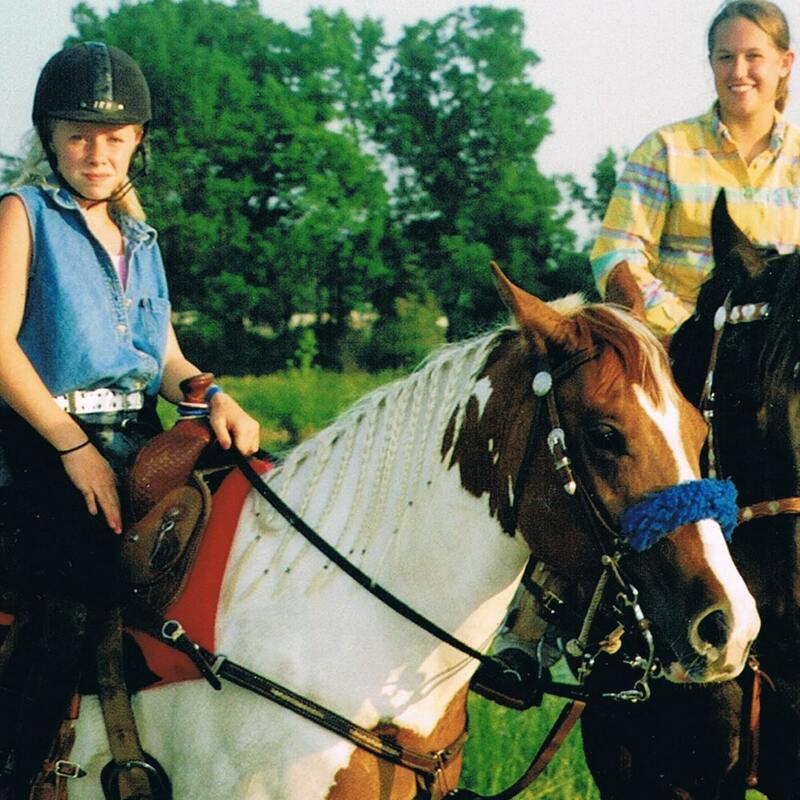 I can remember when I was 8 years old we got our first horse, “Sugar.” She wanted nothing to do with me. Bucked me off every time I got on her. Second horse (you know, because it’s the horse that had the problem not the human, right!?) charged me with ears pinned and teeth barred every time I went to get her from the field (not exactly the fairytale scene I’d imagined from My Friend Flicka). I also turned her into a run off…real quick. Fast forward 10 years or so of countless hours studying, training, and learning from the school of hard knocks and my career was in full force. 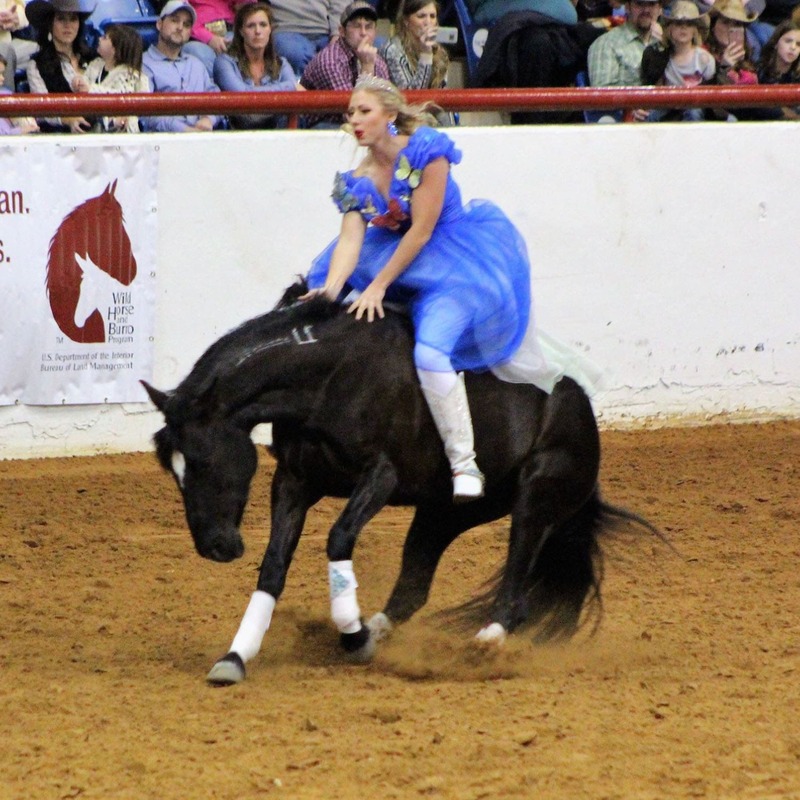 I could get my once wild mustangs to perform tackless and bridleless in front of thousands after a mere 100 days of training (and human touch). I could train ZEBRAS to perform at liberty. I was traveling all over the WORLD teaching others my methods (something I had NEVER imagined!). But there was still something missing. I was conditioned, like most horse people, to NEVER give treats to the horses for a variety of reasons, but especially because of the argument that you will turn the horse into a spoiled, pushy, treat mugging machine. The further I dove into my research and experimentation the more I realized that positive reinforcement wasn’t as simple as picking up a clicker or a target and calling yourself an expert after a few clicks. Positive reinforcement is really different than using pressure and release (negative reinforcement). They are two different languages in a way.. Yes, they do have their similarities. But here’s an example of their differences. Ending the session using R- is considered a huge reward for the horse. So you naturally want to end the session on a behavior the horse performed well on, perhaps a new one you’re teaching the horse to take full advantage of it. But doing that with R+ is actually a form of negative punishment because the horses enjoy the training so much and find it so reinforcing that ending the session can be like taking away a toddler’s favorite toy! Clearly, there are some important differences (I go into more detail on this one in Part 2). So especially because I intended on sharing my methods with others, I wanted to make sure I was getting it right. That’s why I decided to visit the place where “clicker training” and the positive reinforcement movement all originally began–before it even made its way into the dog training world. 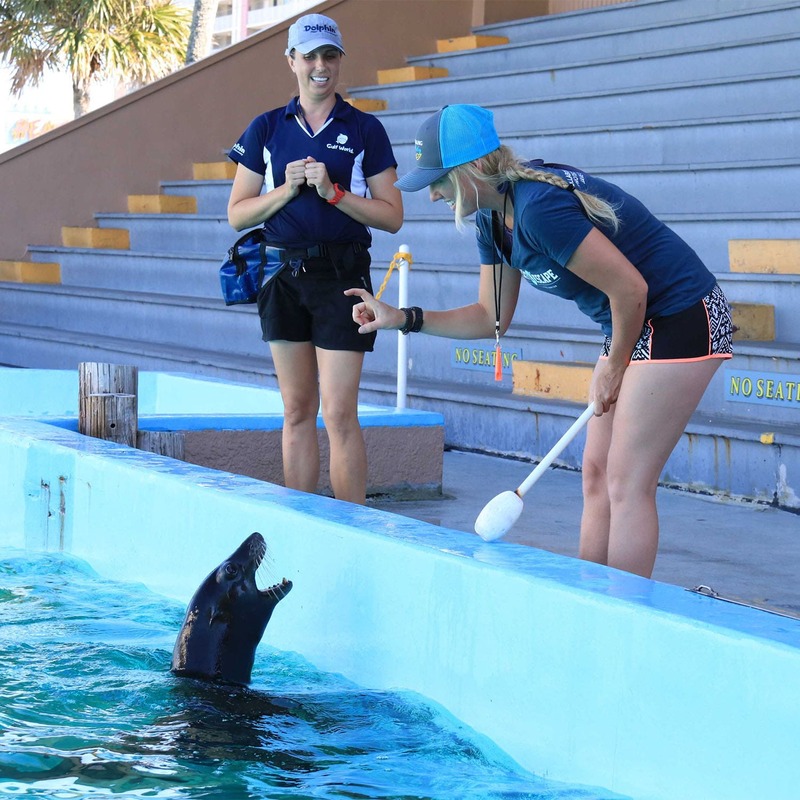 Yep, you guessed it: The wonderful world of dolphin trainers (Plus I got to work with sea lions, exotic birds, reptiles, and other small animals under the guidance of the marine mammal trainers). 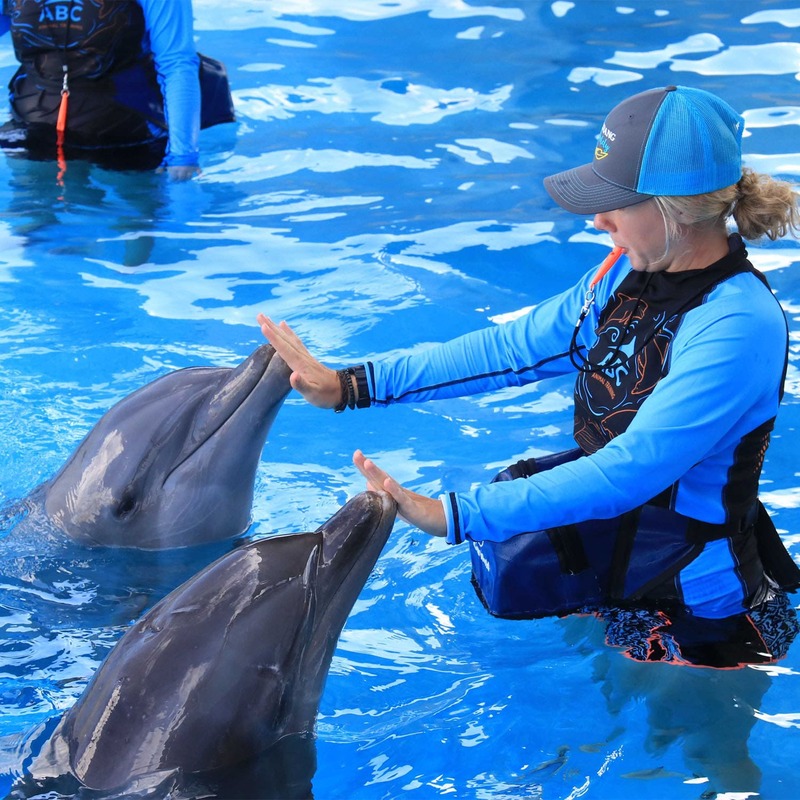 The concept of using a bridge stimulus (like a click or whistle to mark a behavior) was introduced to U.S. Navy dolphin trainers and marine mammal parks in the 1960s by Keller Breland, a graduate student of B.F. Skinner.